Barrie Trower campaigns on the issue of microwaves. The damaging nature of microwaves was known about decades before mobile microwave technology was introduced. Only now are governments beginning to accept this. 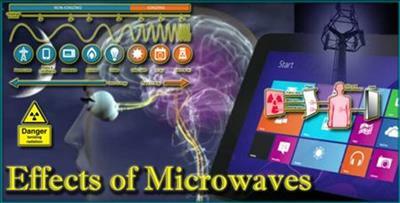 The list of health problems that can arise due to exposure of microwaves is vast. Not only are domestic products dangerous to health, Trower describes microwaves as "the new atomic bomb". A much more effective weapon than an atomic bomb because it is almost impossible to trace them back to their source.